For years I would stand in this parking lot making a series of phone calls to Texas to take my associates’ meat orders. 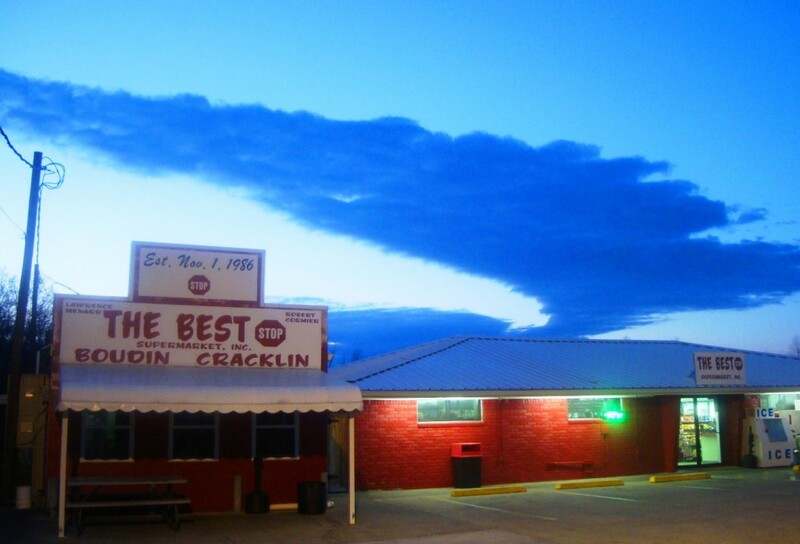 It was understood that anytime I or a member of my crew was traveling through Louisiana the driver had to pull off the Scott exit to hit Best Stop for supplies of cracklins and boudin. It’s unfathomable that Best Stop, despite their meteoric growth, has not seen even a fragmental slip in quality. Yes I’ve discovered other places in Acadiana that may be ever so slightly ‘better’ but I still routinely stop into Robert Cormier’s old joint for hot boudin balls, homemade jams and freezer packets of ‘gator. Best Stop sells 5 tons of meat per week and that’s not even counting the cracklins. The little meat market rolls through two thousand pounds of rice…per week. I can’t help but wonder if these numbers put Best Stop in the 900lb gorilla category of Acadiana charcuterie?